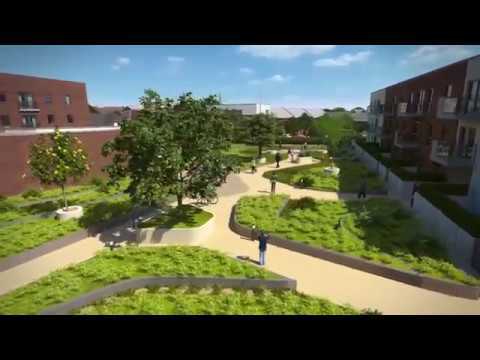 The development also forms an integral part of the riverside's rejuvenation that includes the development of courtyards, gardens and public squares, leading to the river along with links to Woolston High Street and its shops. A vibrant new community that is enjoyed by residents as well as locals. 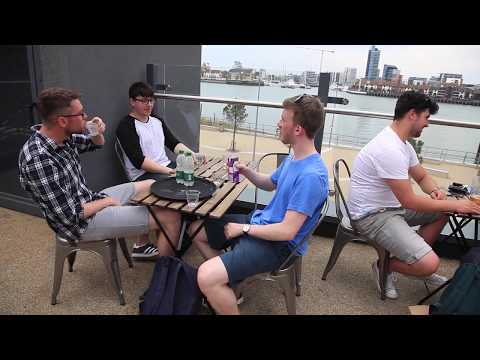 Centenary Quay is proud to be home to a brand new Mettricks coffee shop and Vospers burger restaurant, as well as a new Supermarine pizza and pasta restaurant. Boasting a selection of new homes for everyone, as well as offices, restaurants, a riverside walk, new landscaping and a Marine Employment Quarter. While respecting the area's proud maritime heritage, Centenary Quay also brings something entirely new and fresh, in tune with contemporary living and aspirations. The city of Southampton has a plethora of shops, including WestQuay - one of the area’s biggest shopping centres. It also benefits from some of the regions best bars, restaurants, cafes, cinemas, theatres, sporting venues. These and much more can all be found in this nautical city. The latest phase at Centenary Quay comprises a mixture of 1 & 2 bedroom apartments set in a stunning location on the banks of the River Itchen. The apartments are designed to make the most of the riverside location and provide a calming, pleasant area where you can enjoy the natural environment. This modern collection of 2 bedroom houses has been designed with the utmost attention to detail. The homes also feature a stunning contemporary kitchen with integrated appliances and a flexible open plan layout - ideal for entertaining family and friends. From the culinary mecca that is Oxford Street to the WestQuay Shopping Centre, Millais Gallery to the Harbour Lights Cinema, there’s just so much to do in Southampton. Our new homes in Southampton are just a short drive or bus ride across the Itchen Bridge from the city centre itself, and with a thriving bar and restaurant scene, there is inspiring culture and endless temptation in its shopping centres and streets. Or stay closer to home with a new Mettricks coffee shop, Vosper burger restaurant and Supermarine pizza and pasta restaurant recently opened for residents and locals to enjoy. The city’s sporting venues include Southampton F.C.’s St Mary’s Stadium, and the home of Hampshire County Cricket Club, The Ageas Bowl. September welcomes one of Europe's premier water-borne events; The Southampton Boat Show. This is a sporting city where Southampton Football Club, aka The Saints, has their home ground at St Mary’s Stadium. If you prefer sports on water, the Solent is never too far away. From Woolston station, just a few minutes walk from home, journey times to Southampton Central are just fourteen minutes. However, the proximity of Centenary Quay to the city centre means that all the routes in and out of Southampton are within easy reach and because of its importance as a port, there are excellent links to the rest of the UK. The M27 links the towns and cities of the south coast, and runs just to the north of the city, while the M271 branches off and connects the city centre to the Western Docks. The M3 is the route from Southampton to London and also, via the A34 at Winchester, with the Midlands and North. Southampton Central is the main railway station, offering routes to Portsmouth, Winchester, the Midlands and London, as well as the towns and cities of the West; Bournemouth, Poole, Weymouth, Salisbury, Bristol and Cardiff. If you’re flying, Southampton International Airport is your starting point for around fifty European destinations and has fantastic access to the motorway network, allowing easy onward travel to the rest of the UK. The airport can be easily reached by bus or Southampton Parkway railway station. Naturally, waterborne connections are part of the picture for Southampton travel. The city is the terminus for internal ferry services, which operate from Town Quay, and there are car ferry and fast catamaran services to the Isle of Wight and Hythe. A world of more exotic destinations such as the Caribbean, Mediterranean, Far East, America and Australia can be reached too, for Southampton is, as ever, a home port for some of the world’s most luxurious passenger liners, including the world’s largest, Cunard’s Queen Mary 2. Now is the time to buy in thriving Southampton, with investment opportunities delivering attractive yields, capital growth and healthy profit margins. 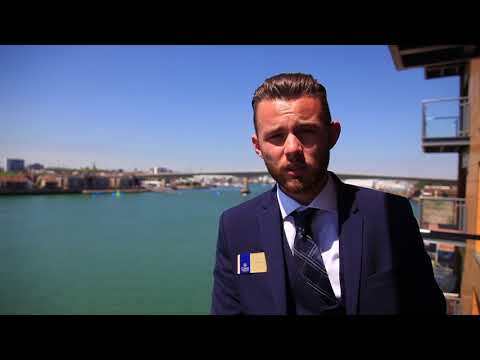 Marcus Evans, Sales and Marketing Director at Crest Nicholson Regeneration shares the five key advantages of choosing a new build home for your next move. Crest Nicholson is offering unique incentives to buyers who purchase at Centenary Quay in Southampton before the end of October. We are working with WWF-FTN (World Wildlife Fund Forest Trade Network) to ensure that we ethically source the raw materials we use to construct each home and that all our timber comes from sustainable sources. FOR A LIMITED TIME ONLY - RECEIVE A GUARANTEED 6% RETURN FOR 24 MONTHS ON ALL 2 BED APARTMENTS - CALL TODAY TO FIND OUT MORE. There's never been a better time to invest in property in Southampton. With interest on savings producing a low return, investing in a brand new home could make your money work harder. An increasing demand for rental accommodation in Southampton means investing in bricks and mortar now will enable you to take advantage of rental returns and the opportunity for long term capital growth. Plus the added benefit of attractive property prices and unprecedented low interest rates makes buying now more affordable. Buying a brand new property takes away the extra stresses and strains often associated with rental management leaving you with you a hassle free and highly marketable investment. Whether you're looking for your first investment property or adding to an extensive portfolio we can make the process easier. Our panel of Independent Financial Advisors can help you find the best mortgage deal and our panel of recommended solicitors can help you through the legal route. We can even recommend a letting agent to find a tenant quickly and provide you with a one stop management solution. * The estimated rental yields has been calculated on the following basis: purchase plot 4155, a at £277,500 with an expected average rental figure of £1,050pcm. * The estimated rental yields has been calculated on the following basis: purchase plot 4145, a at £249,500 with an expected average rental figure of £1,050pcm. * The estimated rental yields has been calculated on the following basis: purchase plot 4146, a at £249,500 with an expected average rental figure of £1,050pcm. 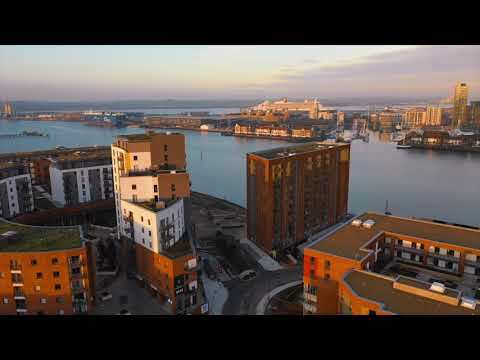 Why invest at Centenary Quay, Southampton? 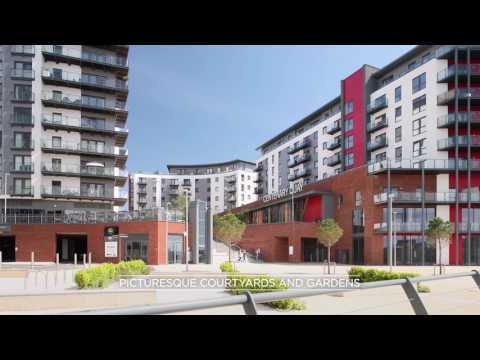 Located on the eastern bank of the River Itchen, Centenary Quay is also a destination in its own right and the focal point of the regeneration the Woolston area of Southampton. It already has stylish contemporary homes ready to move into, with many more on the way. The development compromises of 1, 2 and 3 bedroom apartments and 2 & 3 bedroom houses designed by renowned architects to suit different lifestyles and life stages. All designed to achieve high levels of energy efficiency for a sustainable lifestyle. Centenary Quay has been planned to help you reduce your reliance on car travel. There's easy and frequent access by public transport to nearby Southampton, London, and further afield. Its central location and good connections make it an excellent choice to commute from. Southampton Central can be reached by train in about a quarter of an hour, and even London in less than an hour and a half. Motorway links to Portsmouth, Winchester and Basingstoke expand your options further. All this and more make Centenary Quay an excellent choice for Investors.